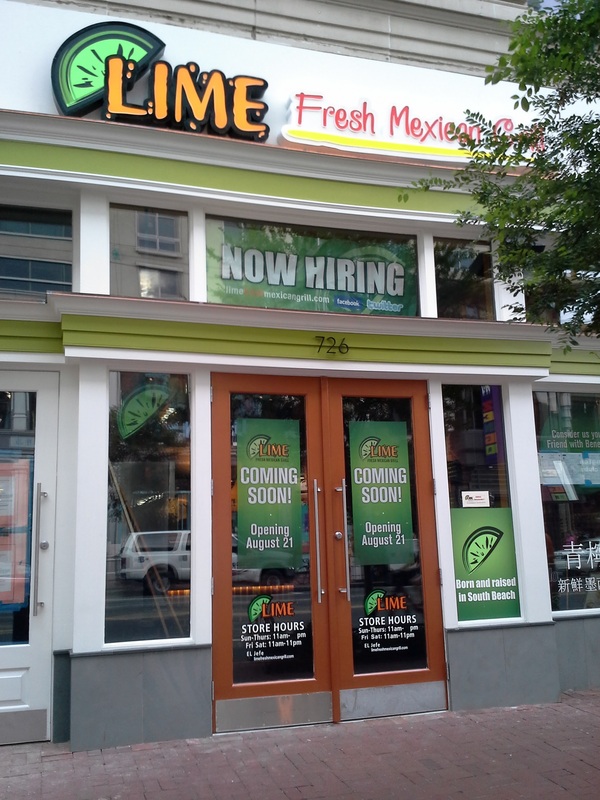 Lime Fresh Mexican Grill (726 7th St NW) is looking good and is set to open in one week on August 21 according to the signage posted outside the newly built out space. The inside appears ready to go and they are hiring. 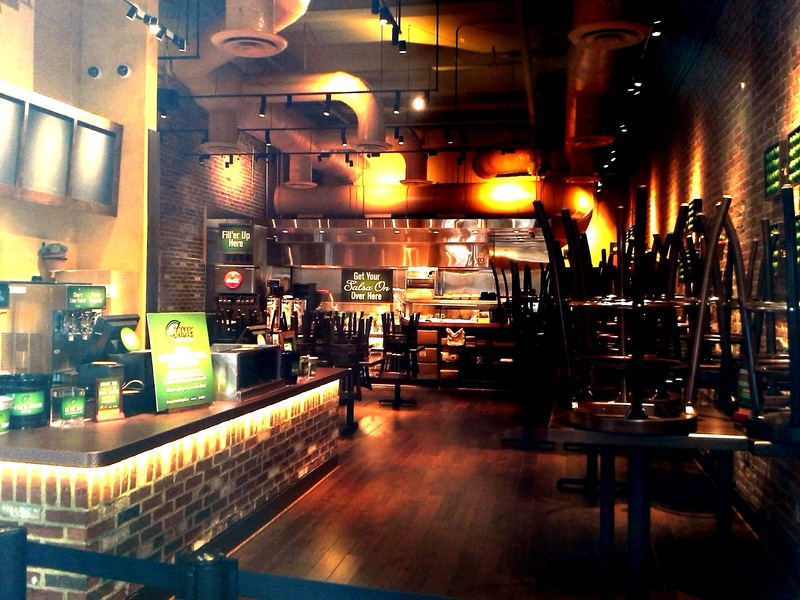 We’re not sure how three fast, casual Mexican restaurants (Lime Fresh, California Tortilla, and Chiptole) will fare all at once in a one block stretch of 7th Street NW but we’re about to find out. Let the taco Olympics begin. ¡Andale! Neela Latey liked this on Facebook. Which brings us to ask: Anyone miss Andale at 7th and E or its predecessor The Mark? How about Vega or Apartment Zero the two contemporary furniture stores, TenPenh, Les Halles, Cafe Atlantico, The Lansburgh Market, Zenith Gallery or the myriad of galleries at 406 7th Street? What other retailers, restaurants, or other tenants who were once here do you miss having as a Penn Quarter neighbor?